Hey everyone! The more keen eyed of you may have noticed that I just posted a design, all of ten minutes ago. But apparently I completely forgot that I already posted it, two weeks ago. I feel like such a dingbat, but I'm blaming the fact that it's hot and it's 1:30am and I really need to sleep! 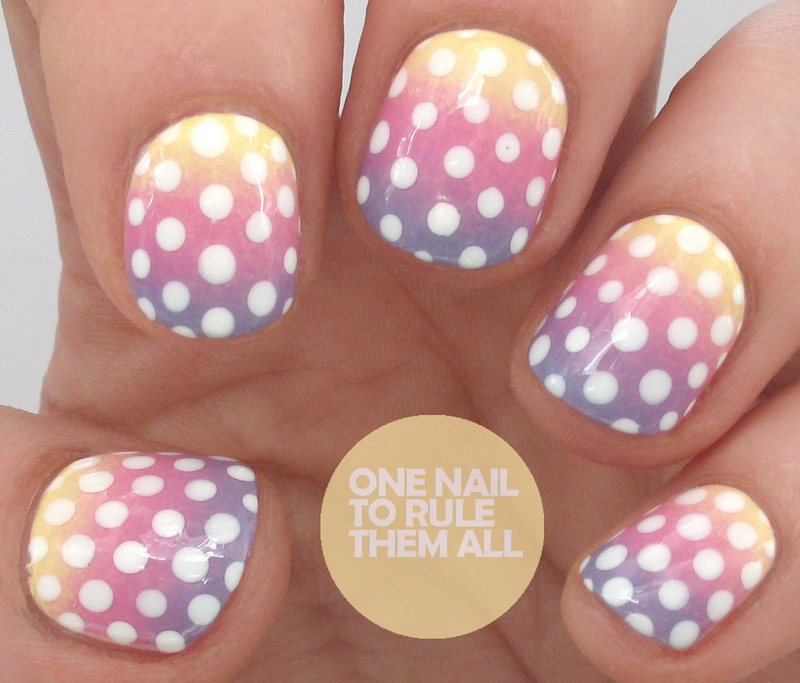 I didn't want to leave you without a design though, so here's a quick and simple polka dot gradient look. 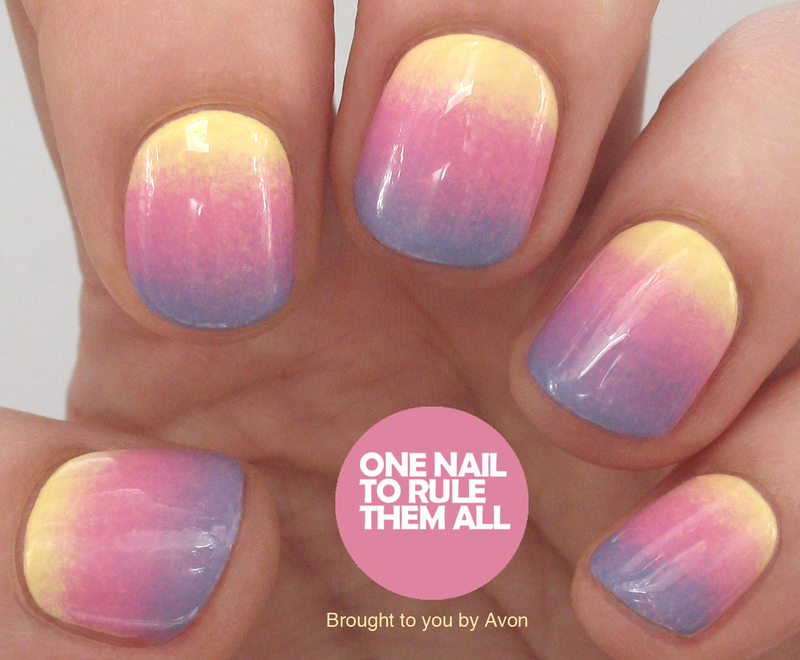 I created this gradient for Avon, and you can see the steps to create it on their Facebook page, but I decided to add polka dots to it just to see how it would look, and I really think it makes the design 100x better! The base for these nails was Avon - Lemon Sugar and then I used Coral Reef and Cultured Purple for the gradient, and added Graffiti Nails - Ice White for the polka dots. Oh yes, much better with the dots! Lovely! 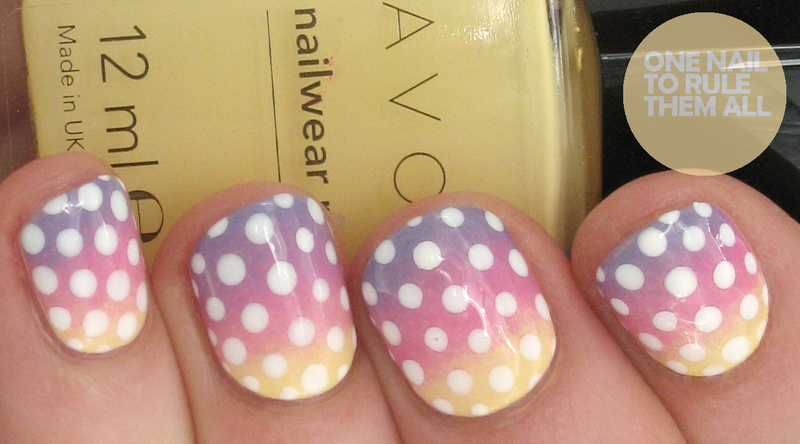 Love it with dots too. Great choice indeed! I love these colors together, and the dots really make it all go nicely! These colours are so perfect together, they remind me of a sunset!